It goes without saying that coming back to the “real world” after a year off – first traipsing around Europe, then sailing around the Caribbean – has been a bit of an adjustment. I have gone from a completely unstructured life on a boat to being back in an office 5 days a week. I have gone from wearing flips flops or going barefoot to donning high heels. And perhaps not surprisingly, I am back off the wine wagon after months of beer and rum punch (finding decent wine on the islands was often a challenge). I am trying to keep my wine consumption in check now that we’re back home, but stepping into my local LCBO for the first time, I felt like a frickin’ kid in a candy store. So dangerous! I should probably mention that at some point in the last five months, we decided that this return home would only be a temporary one – we are heading back to the boat in the fall to continue our Caribbean island hopping. This means that we are trying save money like crazy, which also means trying to find savings in all aspects of our lives, including wine. So when I saw this Lambrusco at the LCBO a few weeks back, with a price tag of only $14.95, I just had to try it. 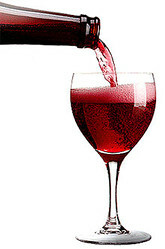 Lambrusco is a sparkling wine made from the eponymous red grape, vinified using the charmat method (i.e. the same method used to make prosecco, but not champagne). Similarly to the fate suffered by German rieslings, Lambrusco acquired a terrible reputation back in the 80s due to high yields leading to overproduction of a cloyingly sweet bubbly, without much consideration for quality. Thankfully, producers are re-focusing their efforts with this grape to produce a highly drinkable dry-to-off-dry sparkling red wine. Some are even going back to the traditional, champenoise method that was used before the grape got so trendy. And critics from The Globe and Mail, the New York Times, and Decanter agree that lambrusco is making a great comeback. Lambrusco has a looooooong history, with evidence showing that this varietal was planted by the Etruscans (around 600 BC). Prior to that, the grape originated on wild vines growing in stagnant water on the flat plains of the Emilia Romagna region, making them an especially robust variety with very high yields. 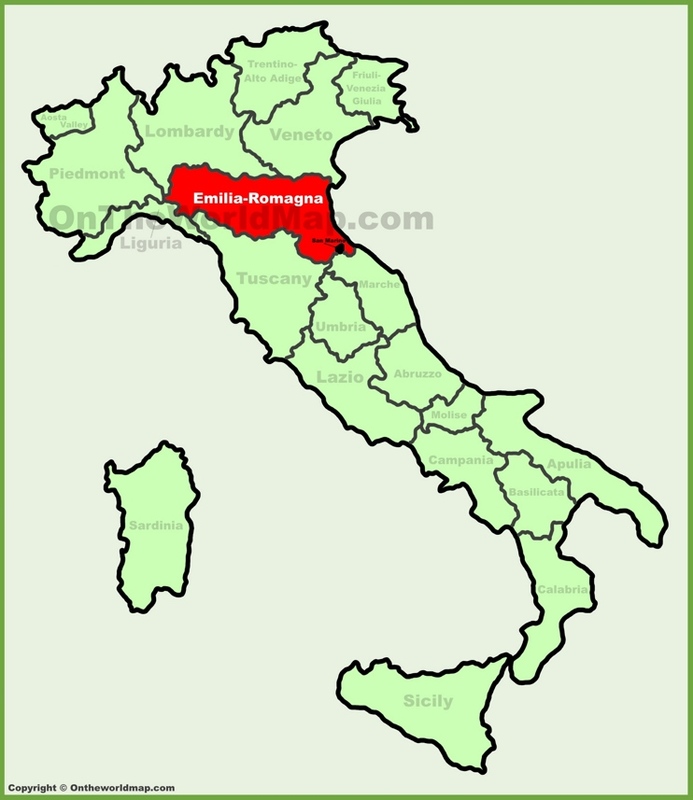 The Emilia-Romagna region in Northern Italy is known for being the bread basket of Italy. It is home to Parmagiano Regianno (aka parmesan cheese), Prosciutto di Parma and Modena balsamic vinegar, not to mention delicious stuffed pasta like tortellini and ravioli (my favourites!). So if you are wondering what the heck kind of food to pair with a sparkling red, those would all be good places to start. And while pizza comes from southern Italy, I can tell you from experience that a well-chilled lambrusco is the perfect patio pizza pairing. 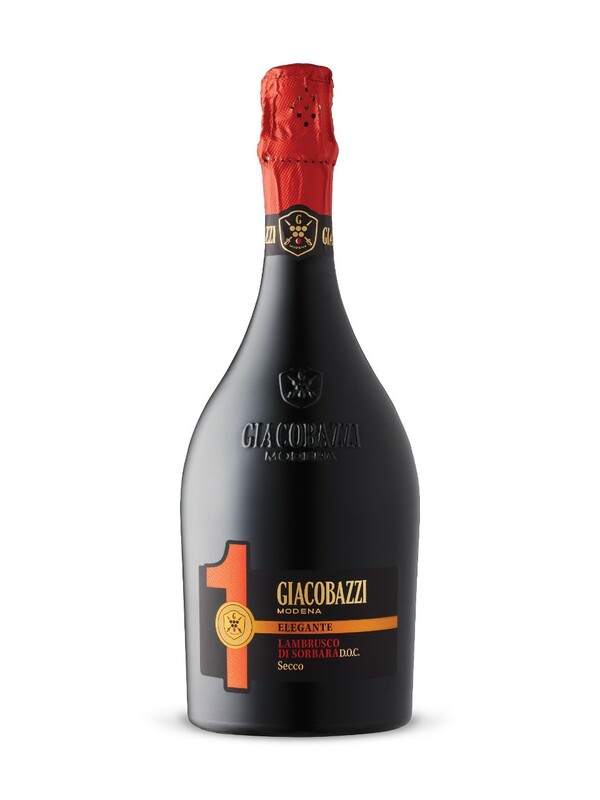 The aforementioned Giacobazzi Elegante has a rather startling appearance in the glass, mainly because we’re just not used to red sparkling wines (or frizzante i.e. gently sparkling, as they say in Italy). Its medium candy-cherry-red colour almost gives it the appearance of juice—but fear not, I assure you this is an adult beverage. On the palate, there are blackberry, sour cherry, earthy and floral notes (violet perhaps?). This lambrusco is off-dry, and its hint of sweetness is nicely balanced out by slight tannins on the finish, and gentle bubbles provide a refreshing palate cleanser. And that, my friends, is your introduction to another not-co-common grape varietal. Next pizza night, go grab a bottle and let me know what you think! Thanks for the wining suggestion. Living on a sailboat isn’t always easy, but we just can’t stand the thought of another looooooong Canadian winter. It took us longer to find our boat than our house! I would love to do some sailing on the west coast. One day! Glad you enjoyed it 🙂 Thanks for providing the scrumptious pizzas! I found it was also delicious with the dessert pizzas (strawberry and feta mmmmm).